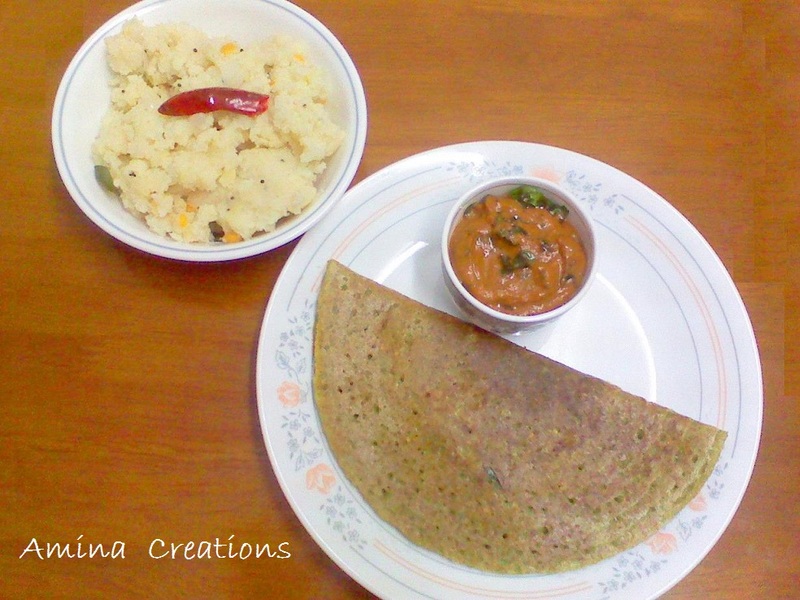 Pesarattu also called upma pesarattu is a very popular dosa variety from Andhra Pradesh. 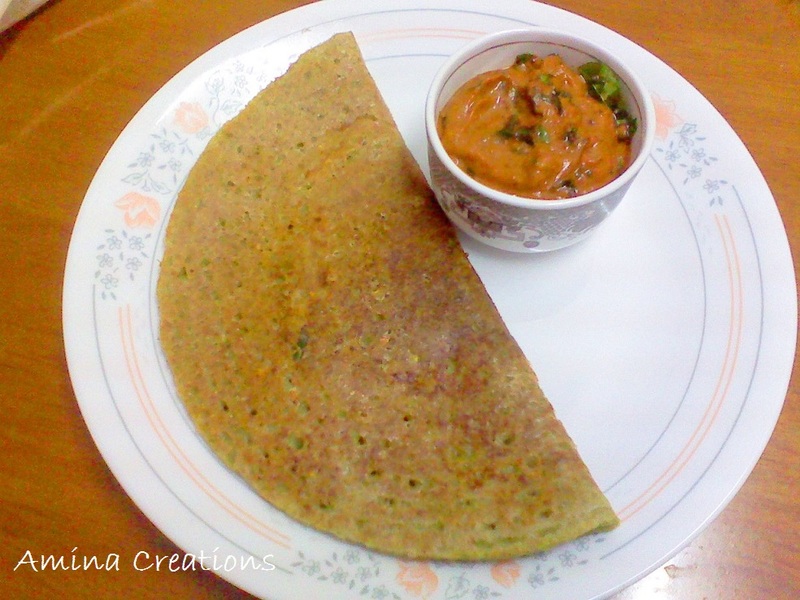 This dosa differs from the regular dosa as it is made using whole green gram and is often served with upma and ginger chutney. Soak green gram and raw rice in water overnight. Wash well with water several times, drain off the excess water and grind to a coarse paste along with green chillies, ginger and salt. Transfer to a large bowl and add water to form batter. Set aside. Now start preparing the upma. For this heat oil in a pan, and add mustard seeds and asafoetida. Then add curry leaves, chana dal, urad dal and saute for a minute. Next add onions, ginger paste and saute till the onions turn soft. Then add the green chillies, salt and sooji. Mix well and add water and lemon juice and bring to a boil. When the upma starts boiling, reduce heat and close a lid. Cook in low flame for 2 to 3 minutes. Switch off the gas and mix well. Now heat a non stick pan and add a ladleful of batter. Spread evenly and sprinkle small amount of onions, grated ginger, cumin powder and red chilli powder on top and close a lid. Cook in a low flame for about a minute. Then open the lid and cook in high flame for 1 or 2 minutes till the lower part is cooked. Fold it into half, transfer to a plate and serve hot with upma and ginger chutney. To make the next dosa, reduce heat and sprinkle water on the pan and repeat the process.